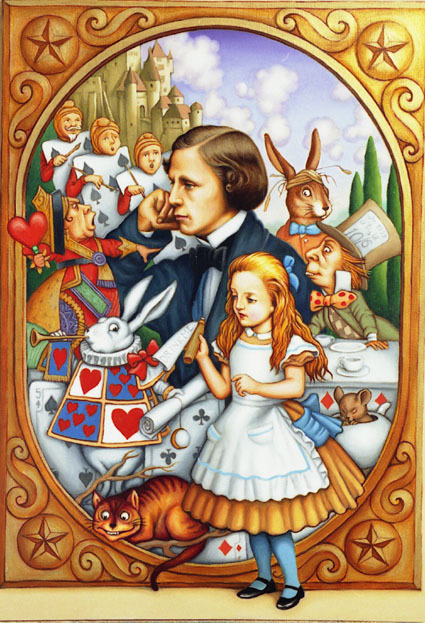 Now appearing in the December 2007 edition of The Fifth Di…, final showings of my short alternate history tale, “Lewis Carroll and the Time Machine“. I found this Alice pic below cool, so I put it up instead of a regular banner. It represents one of my favorite authors I like to write about; one of my three favorite since I was an early teenager. The other two being Kurt Vonnegut and Isaac Asimov. Featuring Fiction and Poetry by: Lawrence Dagstine, Mark Allan Gunnells, John Bushore, Terrie Leigh Relf, Marge Simon, Aurelio Rico Lopez III, and Sarah Wagner. Edited by J. Alan Erwine. With opening tuppence by Tyree Campbell. Oh yeah, almost forgot… You’ve already seen the Halloween 2007 pictures (the kid’s first trick or treat). Here’s what Thanksgiving looked like with the in-laws. Well, the turkey at least. I’ll add them to the ‘Unplanned Parenthood‘ album when I’m done. 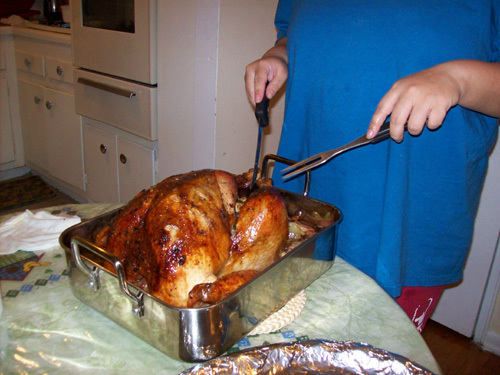 This year we had a 19-pounder. Nice looking bird, isn’t it? 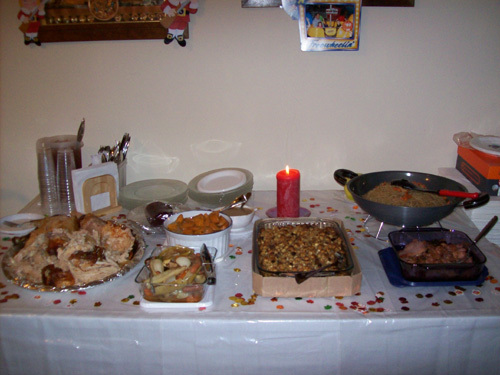 And then the table set-up for the side dishes, of course.